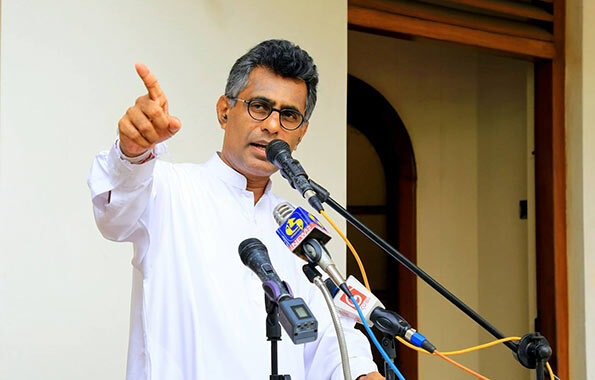 Modernizing the transport system, enhancing livelihood of underserved families and waste management will take priority in the drive for establishing Megapolis, said Minister of Megapolis Development Patali Champika Ranawaka. The creation of Megapolis will increase economic opportunities and global competitiveness of the nation, he said addressing the members’ meet of The Management Club of Negombo at Camelot Beach Hotel as the guest speaker. A cluster network of cities existing in a Megapolis enjoys the advantage of being able to address common concerns in areas of transportation inclusive economic development, environment protection, etc. With the creation of a cluster network of cities of the Western province it will enable to address common concerns in the areas of transporting, inclusive economic development and environment protection. “This is exactly the rationale behind the investments amounting to hundreds of billions of dollars made by the governments in Europe including European Union, China and Japan that are being made in new inter modal transportation and communication links and other infrastructure to underpin the capacity, efficiency and livability of their Megapolis regions,” he said. One of the key determinants of competitiveness of a region in today’s highly competitive, globalized economic environment is what is termed as ‘economic density’. In the scale of economic density Colombo is ranked well below that of Bangkok, Kuala Lumpur and several Indian cities, he said. “From the perspective of rapid economic growth, the most effective way of promoting long-term growth, in our national drive to graduate, first as a upper middle income country is to facilitate geographic concentration and economic integration, while pursuing policies that make basic living standards more uniform across the country. And this is exactly the rationale behind developing the entire Western region of Sri Lanka as a single Megapolis,” the minister said. To achieve this working towards smart-cities is the direction he said. The Western Megapolis envisages a large population of 8 million by 2030. Elaborating on the strategy to arrest the increasing congestion, waste of time, and fuel which now costs more than Rs 1billion per day he said modernizing and reforming the bus system for higher quality service will be a major priority. The estimated cost for this is Rs 173 billion. The implementation of two special systems of bus known as Bus Rapid Transit and Bus Priority on major corridors to Colombo city will be another measure.